For some, the holidays bring that warm, fuzzy feeling, while for others they are more challenging. Many have high expectations that are difficult to meet, no matter your family circumstances. 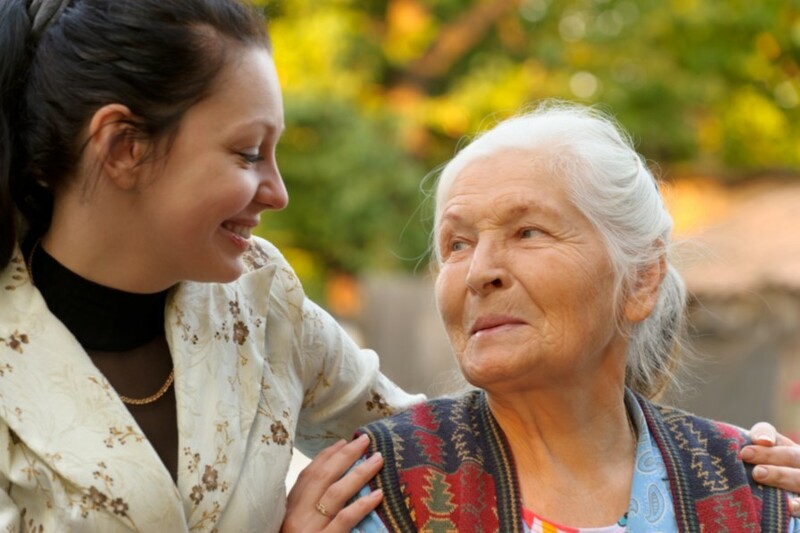 However, when adult children come home and see parents and other older relatives after time apart, they may discover that their loved ones need more help than they know, especially if they live alone. This holiday season, there are a few main areas to focus on to ensure mom or dad are doing well. First look for signs of self-neglect such as diminished hygiene or failure to eat or take medications regularly. Secondly, observe how they are handling household finances—do you see stacks of unopened mail and unpaid bills? Third, pay attention to their driving. Check for scrapes or dings on the car and whether they have complained about traffic citations. For a more detailed list of warning signs to watch out for, check out this article from AARP. If you are spending your holidays with a loved one who has been diagnosed with dementia, there are strategies that can be used to make the time together as enjoyable as possible. Even in early stages of dementia, people may feel uncomfortable socializing in large groups, as they are no longer able to focus on conversations as they used to. It may be necessary to adjust expectations and alter some traditions to make them more enjoyable for all. Planning holiday gatherings for a time of day when your elder loved one is at their best–a brunch rather than your traditional dinner–may be worth considering. Involve your loved one with dementia in planning holiday activities, paying careful attention to what they want. Often, quiet time together looking at photo albums and talking about happy memories or watching old familiar movies can be comforting. It is also crucial that as a caregiver, you adjust your expectations to avoid burnout instead of pushing yourself to accomplish everything you used to. Ask your support community and other family members to help take some of the burden of holiday planning off your shoulders. For more support resources about navigating the holidays with a loved one with dementia, click here. We at Friendship Center wish you the happiest of holidays, and if we don’t see you at one of our holiday parties this month, we hope to see you in February at our Festival of Hearts! I thank each who work to make us welcome – and your organization for being the sponsors.